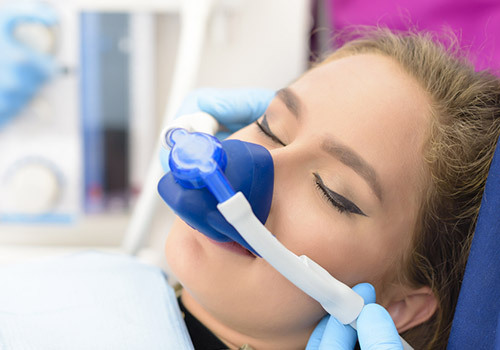 General anesthesia (or semi-conscious sedation) and conscious sedation may be appropriate options for certain patients, especially those who are apprehensive about undergoing a dental procedure. As part of our efforts to minimize patient discomfort and anxiety, as well as provide the highest standard of patient safety, we have engaged the services of board-certified anesthesiologists and Certified Registered Nurse Anesthetists (CRNA), to administer general anesthesia and semi-conscious sedation to our patients. The fees for general anesthesia and semi-conscious sedation are typically not covered by insurance. The fees are based on the duration of the dental procedure plus the pre-procedure anesthesia time and the post-procedure anesthesia recovery time. Representatives of AZ Perio will be able to answer any questions you have related to sedation dentistry. This pre-payment is based on the estimated procedure time. The final dental anesthesia fee will be based on the precise duration of anesthesia services.